Our King Log Bed offers you plenty of sleeping room and will become a showcase piece in your home. 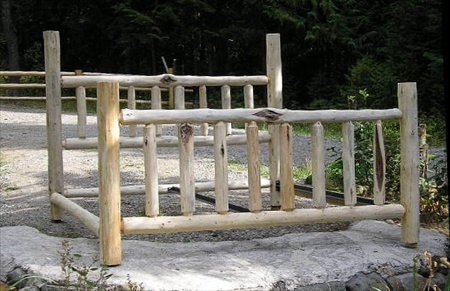 We put every ounce of effort into crafting you the most perfect Rustic Log Bed imaginable. Our designs can be customized to any style you desire. We take pride in the fact that every single one of our Log Beds is compliant with the CPSC safety standards. Give yourself the best gift in the world — a solid night of peaceful rest. 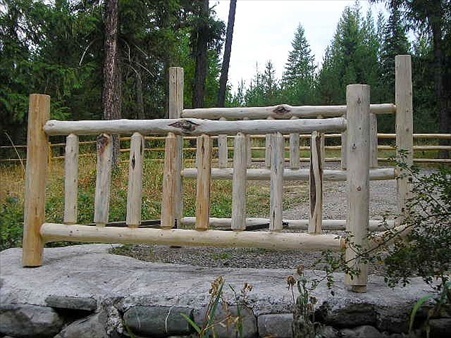 Give us a call and let us walk you through the design process so we can custom build the most beautiful King Log Bed that you could ever dream of! Also, check out these same beds in various custom designs--see other listings such as Sunburst, Elk Antlers, Posters, Silhouettes, Carved Bears, Canopy, Knotty, and whatever other design you can imagine! 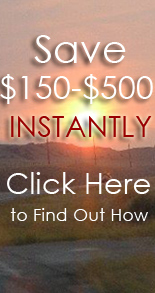 All of our products are proudly made from the natural resources of Montana, USA. Prices reflect the unfinished price before shipping. We are happy to let you finish if yourselves and save some money. But if you prefer, we would be happy to apply the finish for you, just ask for our finished pricing. We offer many different shipping options to suit your needs. If you're looking for more information about our products or policies, please view our Details & FAQs page. Please note - the images shown are guidelines to inspire your taste and creativity. We encourage you to request modifications, alterations and substitutions if you desire. If you have any questions about our products, feel free to Contact Us!